>> The Haryana D.El.Ed 2018 Admission: Allotment Letter for Round 1 is available Candidate login Link is now Active. The admission will be open to bonafide residents of Haryana only. · Candidates with at least 50% marks in Senior Secondary (10+2) or its equivalent examination with five subjects including English as one of the subjects. · There shall be a relaxation of 5% marks in minimum qualifying marks at Senior Secondary (10+2) level for Scheduled Castes (SC), Backward Classes (BC) and Differently abled candidates. Further, the said 5% relaxation means at least 47.5% marks (50 x 5/100 i.e. 2.5 = 47.5%), as clarified by the Apex Court in its judgment dated 18.09.2011 cited in 2012(1) RSJ-64 in Civil Appeal No. 7084 of 2011 titled as P. V. Indiresan Vs. Union of India and others. · However, the said relaxation shall not be admissible to Special Backward Classes & Economically Backward Class Persons in the General caste Category. 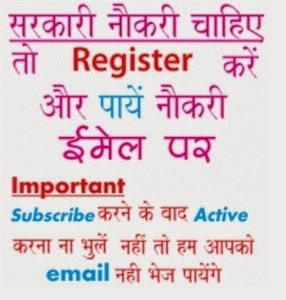 · Matric with Hindi/ Sanskrit. 3. Arts- English (compulsory) with any four subjects. Senior Secondary examination and if any candidate does not apply in proper stream as mentioned above, his/her candidature will be treated as cancelled. Fee for Self Finance Institutions in the state of Haryana is Rs.18400/- (Rs. Eighteen Thousand Four Hundred Only) annually excluding actual examination fees as prescribed by the examination body. The second year fees of rupees 18400/- will be paid in the institution after completion of second semester examination. 1. Fees once paid will not be refunded in any case, it will be treated as forfeited. 2. Fee revision is under process, so the new fee structure will be applicable. Admission in D.Ed.-I is provisional. It is subject to verification of certificates and other testimonials issued by the concerned Boards/University Authority etc. The verification shall be carried out by the institution and in case it is found fake/bogus, the admission shall be cancelled automatically. No one who is in employment (Whole-time, part-time, or Honorary Service) shall be allowed to join D.Ed. Course without taking leave from his/her institution/office etc. from the date of commencement of the Academic Session to the conclusion of his examination in Practical Skill in Teaching. All Original Certificates are to be submitted. Attested photocopies(03 copies) of the secondary certificate(10th Class) as a documentary proof of age and subject passing Hindi/Sanskrit. Attested photocopies(03 copies) of 10+2 Sr.Secondary School Certificate issued by Board. Original certificate of good conduct issued by the Principal of the Institution last attended or any Gazetted Officer of Haryana State. The Candidates who have gaps in their academic career must furnish a gap year certificate stating reasons for gap(s) in the form of affidavit and it should also include the Character Certificate of the gap period from Notary / First Class Magistrate. No objection Certificate and Sanctioned Study leave from the Immediate Employer (with the Date of Commencement of the Academic Session till the conclusion of the Session) in case of Working teacher / Employed Candidate. v Three attested photocopies of the following certificates (belonging to reserve categories) is to be submitted along with the original certificates at the time of Admission. (i) For the candidates belonging to SC attested copy of certificate issued by the competent authority i.e. Tehsildar/ Naib Tehsildar, Head of the Dept. (in case of Govt. employees). (ii) For the candidates belonging to BCA/BCB/SBC attested copy of certificate issued by the competent authority i.e. Tehsildar/ Naib Tehsildar, Head of the Dept. (in case of Govt. employees) also indicating there in that he/she/parents do not belong to the person/ section ( Creamy Layer) as per the state Govt. instructions. (iii) For the candidates belonging to Economically Backward Persons in the General Caste Category (EBPGC) attested copy of certificate issued by the competent authority i.e. Tehsildar/ Naib Tehsildar, Head of the Dept. (in case of Govt. employees) as per the state Govt. instructions. (iv) Physically Challenged (PHC) attested copy of certificate issued by Civil Surgeon of the District concerned. The disability should not be less than 40%. (vi) For Ex-servicemen & Dependent Ex-servicemen category: attested copy of certificate issued by from the Zila Sainik/ District Sailors and Soldiers Board. v Married Women Candidates will submit a Certificate by the Registered Medical Practitioner not less than M.B.B.S. or C.M.O to the effect that the married woman candidate is not in a family way. v 10 copies of Passport size photographs. v Affidavit of Anti-Ragging by the student and by the parents/guardian. Note: Students seeking admission in D.Ed. course have to submit all Original certificates as Photocopies Got to BE VERIFIED AT THE ADMISSION CELL of the institute at the time of Counselling & Joining the institute. No column should be left blank, Write “N.A.”(Not Applicable) if any column is not relevant. In Case of any of the document lacking or incomplete forms or originals not verified at the time of admission, the admission shall be treated as provisional. The candidate has to complete the discrepancies if any left within 5 days after admission. Failing which, the admission stands cancelled. Fees for General Category, Special Backward Classes & Economically Backward Class Candidates. 1. Candidates should apply only through online application form prescribed for their own categories otherwise their application will not be considered. 2. Candidates should not forget to mention their stream (Arts/Science/Commerce/ Vocational) in the online application form. If fails, they will not consider in merit list. 3. Candidates should apply separately for D.Ed. and D.Ed ( Urdu). 4. Candidates should not forget to upload his/ her photograph and signature on the online application form. 5. Incomplete online application form will not be captured by the system. Candidates should ensure that all details are correct before the Approve Form button is clicked. After approval candidates will not be able to change their personal details. Only they can edit/change the choices.